Every once in a while a business deal gets done that ‘those in the know’ believe will have major impact on business in America and possibly worldwide. The Bank of America/Merrill Lynch merger was one, the AOL/Time Warner merger was thought to be one, AT&T/BellSouth was another, Kraft/Phillip Morris was one that worked, Sony/Columbia and Walt Disney/ABC also seem to have worked. This week, another was announced; this one is anticipated to have impact worldwide – first in the advertising industry, and then in the industries which will be affected by those changes in the advertising industry. This week’s announcement is the purchase of Admob by Google. Below is a detailed analysis by Mobile Marketer on the anticipated impact this purchase will have on advertising in general, mobile advertising specifically, and overall business. Those of you who have read this blog on a regular basis are well aware of our contention that mobile marketing is the next big growth area in marketing/advertising. To us, this announcement further confirms our thoughts on this issue. Read the article to see if you believe the same, we would love to have your comments. Google now has three out of four bases covered Google Inc. has signed a game-changing agreement to acquire mobile ad network AdMob for $750 million in stock in a move that validates mobile advertising as an effective marketing medium. Google is hoping that this acquisition will enhance its existing expertise and technology in mobile advertising, while also giving advertisers and publishers more choice in this fast-growing area. The deal will help Google in its efforts to develop more effective tools for creating, serving and analyzing emerging mobile ads formats and expand beyond its traditional focus on search advertising. “We’ve been talking about the awesome opportunity that mobile marketing brings to the world,” said Mike Wehrs, president/CEO of the Mobile Marketing Association, New York. “Some people understand that, and this deal shows that the largest and best-known advertising company—Google—understands the awesomeness of the opportunity, and they understand where this is going. “If anything, it’s absolutely proof-positive of the value of the mobile channel and it encourages brands to take a very hard look at their priorities,” he said. “If they’re not already increasing their mobile spend, this is a wake-up call. Founded in 1998 by Stanford Ph.D. students Larry Page and Sergey Brin, Google is a top Web property in all major global markets, albeit largely monetarily successful in its search advertising business. It has recently made mobile an increasing focus of its business. AdMob, San Mateo, CA, is one of the leading mobile ad networks specializing in banner ads for brands such as adidas, MTV, Land Rover and Toshiba that run on publisher sites such as CBS, AccuWeather, Cellufun, MovieTickets.com, Lonely Planet and Stitcher. These ads run across iPhone sites and applications, as well as those based on Google’s Android platform. Founded in 2006, the 140-employee AdMob won $47 million in funding from investors such as venture capital firms Sequoia Capital and Accel Partners. AdMob and Google share a common investor in Sequoia Capital, a well-known Silicon Valley eminence. Mobile advertising is a rapidly growing and competitive space, and Google and AdMob are currently specializing in different areas. Though Google offers many forms of mobile advertising, its focus to date has been on mobile search ads, while AdMob’s focus has been mobile display ads and in-application ads. Google dubbed AdMob the quintessential Silicon Valley startup and claims that it is generating impressive year-on-year revenue growth. Both companies have approved the transaction, which is subject to customary closing conditions. As this ecosystem continues to grow, the company expects these new marketing media to offer significant benefits. Google believes that advertisers will be better able to engage mobile users with AdMob’s ad formats. The deal will bring new innovation and competition to mobile advertising and will lead to more effective tools for creating, serving and analyzing emerging mobile ad formats, per Google. The company claims that, by improving the performance of mobile advertising, publishers and developers will be able to monetize their content more effectively, which will hopefully have benefits for the wider mobile ecosystem. Google also claims that users will see more relevant ads and ultimately get access to more free or low-cost ad-supported content and applications, improving their mobile experience. The mobile advertising space will remain highly competitive, with more than a dozen mobile ad networks. The deal is similar to mobile advertising acquisitions that AOL, Microsoft and Yahoo have made in the past two years. Many analysts believe that mobile advertising has nowhere to go but up, so there will be plenty of room for multiple players in the space. This definitely helps Google position itself well for strategic growth in the ecosystem. “We think the mobile advertising market is going to grow a lot, and to me it seems like a pretty good deal,” Mr. Hart said. “If it’s going to help you in this market going forward, it’s money well spent—the current revenues aren’t going to add up, but if it gets you going and gives you some assurance that you’ll be a leader, it’s worth it. “Five years from now, everyone will have a smartphone or a really good feature phone, so there will be a lot of eyeballs and a lot of revenue,” he said. Gartner projects that the worldwide revenue for mobile advertising will be $13.5 billion in 2013, up from around $500 million in 2008. This includes mobile banner ads, SMS, text links, search and maps, ads in applications and games, ads in videos and TV shown on a mobile phone. Up until now, Google has focused mainly on search advertising, but this deal signals that it has its sights set on other areas as well. “This one move underscores Google’s ongoing insistence that their strategy is to look at mobile and be a big player there, and this gives them one more piece of that puzzle, one more tool to pursue that strategy,” said Neil Strother, analyst at Forrester Research, Kirkland, WA. “They do OK with AdSense for mobile already, and this gives them a platform to go into display more and play in the smartphone space, because AdMob has leveraged that pretty well. “Mobile advertising is still a fairly small chunk of the interactive marketing spend, it’s still relatively early, but now Google can get in and marshal their resources, and they will become a major player,” he said. 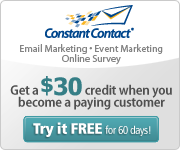 “It probably solidifies them as the leader in the mobile marketing ecosystem. Some analysts focused on the potential for integrating AdMob with AdSense to some degree, and the various synergies the AdMob acquisition could create for Google. “First off, this is a big deal, both in deal size and what it could mean for Google,” said Michael Boland, San Francisco-based senior analyst and program director at BIA/Kelsey. “Google is clearly keen on replicating its online dominance to the mobile world as growing smartphone penetration drives the growth of the mobile Web. “What it’s done so far has mostly been text advertising on Google searches and throughout its AdSense for mobile network mirroring its online strategy,” he said. 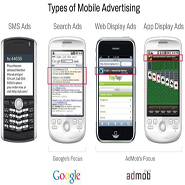 What AdMob brings is an extensive network of display ad inventory on 15,000 mobile Web sites and applications for iPhone and Android, according to Mr. Boland. This morning we announced that AdMob has signed a definitive agreement to be acquired by Google. I’m obviously excited, and not only for our customers, partners, and employees. I’m excited because I believe this will be an important moment for everyone involved in producing, consuming, or monetizing engaging products on mobile. The truth is that the mobile industry has had no shortage of creative energy, amazing products, and talented entrepreneurs. But until now, it has always felt like those of us involved in this space played second fiddle to our online brethren. I believe that time is over. That frustration is what led me to found AdMob a few years ago while I was in grad school. Over the years I’ve been fortunate enough to gather a tremendously talented group of employees. Together we’ve been a part of helping to create a healthy and vibrant environment where developers and publishers, small and large, can both promote their services as well as benefit from the attention and usage their products attract. In our early days we were focused primarily on the mobile web, and gained immense satisfaction from each new business that our service made possible within the mobile browser. Then came the iPhone. Suddenly, Apple solved so many problems that had plagued mobile for so long. They showed all of us the way forward and their efforts have led to a landslide of rapid improvements in our space. We were so excited by the promise the iPhone represented that we shifted a significant portion of our attention to that device in its very early days. We launched the first iPhone ad units focused on the web and quickly added the capability to run ads in applications. Now with the addition of excellent devices from Palm, Nokia, RIM, and plethora of Android powered smartphones, we have all the preconditions necessary for what will be a tidal wave of mobile browsing and app usage. But let there be no mistake. Our business, and the mobile industry in general, owes Apple a debt of gratitude. We now operate in an environment that is much more advanced than the one we entered into a few years ago. There are literally hundreds of competitors, small and large, with different areas of focus and expertise. Lately, it seems that almost every week we hear about a new idea or company in the mobile advertising space. This has led to rapid innovation, and we’re excited about the positive attention this deal will bring to mobile advertising. We have no doubt this will bring even more players into the space and accelerate all the innovation that is already taking place. There are so many people to thank for getting us to this point. We’ve benefited from the advice and support of the best investors and advisers in the world. We’ve had tremendous publishers, advertisers, and partners. We’re very excited by all the very real benefits this will bring for them. Our ads will become more relevant, our products more robust, and our monetization capabilities more significant. Most importantly, I’ve had the honor of working with a team of people that were all, top to bottom, completely committed to our mission. I’ve never in my career seen such dedication, excellence, and passion. This is a group that is smart, fun, and very focused on building and launching amazing products. We’ve been able to keep the bar so high that I often tell people that I’m very lucky to have founded the company in the first place, as I am fairly certain I wouldn’t have made it through the interviews. So let me be plain: None of this would have this happened without the team at AdMob, and I will be forever in their debt. The best part of all this is what’s next. We are not going away. After our deal with Google closes, we will work together to accelerate the pace of innovation in this area. Our product and engineering teams will keep building great products for all of our customers. Our business development team will keep working to maximize ad revenue for the more than 15,000 mobile Web sites and applications that make up AdMob’s publisher network. Our sales teams will keep working with our thousands advertisers to deliver successful campaigns and our marketing group will keep pushing to get the word out about mobile. It’s just that now we will be able to do an even better job for all of our customers. I have one important thank you left and it is for Google. We’ve been blown away by their entrepreneurial attitude, their speed, and their insight. My management team and I have been lucky enough to spend time with some key people at Google, and we’ve always walked away excited about our shared values and similar cultures. In all of our interactions we’ve felt their passion for innovation and new ideas. Obviously this transaction represents only a part of their overall interest in mobile but all of us at AdMob are looking forward to working with them to make sure that the future of mobile is no longer so far away. With the deal sending shockwaves through the industry, many competing mobile ad networks and other players in the mobile ecosystem were eager to share their views about the potential impact of Google’s acquisition of AdMob. I think it has a huge impact. We’ve been hearing rumblings, and I was hoping that it would be Google. It’s a huge validation point for the industry, as Google is the most sophisticated mobile player, and it wanted to accelerate on this with a mobile ad specialist like AdMob. Google said that the mobile Web is different and we need to accelerate in this space. It’s an exciting development for Quattro, as well. Agencies are the ones putting it on the table in front of brands, and a lot them are partners with Google, so this further validates the space for them. It’s further justification to present mobile plans to their clients. This ups everyone’s ante. Hopefully we’ll lead the way with our targeting. It’s a pretty robust ecosystem of folks trying to move the market, and this will accelerate it and move it forward by years. This is the first big domino to fall. When Google comes out and said mobile is different and we want to dominate it, people will take notice. What happened today is astounding. Google’s perspective has always been that mobile is just the Internet. Today Google validated what many companies including Millennial have thought for years—that mobile is a different market with a huge potential for advertising, possibly a bigger opportunity than online media. As the clear leader in mobile brand advertising, we are happy to see a player like Google bring economies of scale to the performance advertising space in mobile. Millennial Media has generated our substantial lead in the market by focusing on the advertiser, delivering results, and has been rewarded with the largest reach of any media company large or small. Reaching 80 percent of the U.S. mobile audience, we look forward to working alongside the Google/AdMob pairing to fully realize the vast potential of the mobile advertising market. Congratulations to Google and to AdMob. The announcement is causing tremendous excitement as it validates the enormous potential of mobile advertising. We predicted consolidation in the industry and AdMob’s broad high-volume business model is highly synergistic for Google. The industry frontrunner will be determined by who can deliver the most advanced targeting capabilities for better ROI for advertisers and publishers. It’s obviously super-exciting—it’s obviously a landmark deal, not only the scale of it, but the fact that it’s Google. It’s a sign that mobile is no longer emerging media, because they bought scale, they bought the leader in the space. I’m a huge fan of those guys, we do a lot of business with them and with Google, and this is good news for everyone in the industry. Brands are the only people who aren’t playing effectively in the mobile space, and this is a wake-up call to clients who says mobile is not a real opportunity, because it is. Google doesn’t get involved in anything it doesn’t think has scale. This is an unprecedented validation of mobile advertising and demonstrates the value of rapidly growing a mobile-only advertising platform. It is also a clear sign that Google understands the value of the mobile channel and brought in a company that has created a mobile-specific solution. We congratulate all of our industry colleges over at AdMob on their hard work. Upon hearing this news today, my initial reaction was ‘validation for mobile advertising,’ but definitely not ‘game over for ad networks as a competitive segment.’ Given the high valuation placed on AdMob, Google clearly sees what AdMob has created as very compelling and a strategic fit with its pre-existing ad program, AdSense. I think the value of ads displayed in rich apps, such as ones served by AdMob, may have more value than AdWords served on search results pages and sites across the AdSense network, simply because an app user has so much more invested in the experience and therefore is paying a lot more attention to what’s being displayed for them. I thought the news was especially interesting given recent word that AOL was likely exiting the mobile ad business despite a lot of investment and an acquisition [of Third Screen Media]. So although mobile advertising is a relatively new category, it’s matured a lot in a short period of time, having seen large efforts like AOL’s come and go, and a giant like Google coming in and making a statement like it has buying AdMob. I’d also say that this is another indicator of the ‘mobile customer experience’ driving the smart moves in the industry. Google knows that to provide the best mobile ad offering, it needs to consider all the ways ads can be most effectively served to consumers on mobile devices—across mobile-optimized Web-search results through rich smartphone applications. They have done that exactly and now have a stronger offering which blends AdSense and AdMob. For other ad networks, there is still room to move, but they need to more clearly differentiate their offerings. As the nature of the mobile channel continues to morph and lines among disconnected categories like SMS text messaging, the mobile Web and applications start to blur, there should still be room for other ad networks to come up with innovative ways of helping marketers connect with their customers in the most timely and relevant manner possible. AdMob has done a tremendous job globally of positioning mobile as extension of the digital buy. Although display advertising on mobile is still relatively embryonic, digital standards bodies like the Interactive Advertising Bureau are actively positioning mobile as an extension of the more mature online cousin. There is no doubt that this Google deal will further legitimize the mobile display buy with brands and agencies. Given that Google is the buyer and the size of the deal is so large, this is certainly a milestone moment for mobile advertising and marketing. It provides additional validation to our firm belief and experience that mobile marketing has moved beyond the test phase and now has a seat at the table when the brand’s marketing mix is developed and dollars are allocated. However, mobile advertising isn’t an end-all solution for brand managers seeking to reach consumers via mobile. Oftentimes, SMS is the gateway to engagement because of its ability to reach the great majority of mobile subscribers who have text messaging capabilities on their devices. Calls-to-action and the resulting activity by consumers have proven to drive sales and give brands a valuable, permission-based ongoing relationship with consumers looking for ongoing information and offers. This personalized loyalty and relationship marketing aspect is uniquely driven via SMS mobile marketing and is growing in importance. The news that Google acquired mobile advertising player AdMob for $750 million confirms the legitimacy of the mobile advertising industry, and overcomes any skepticism of whether small screens can offer big opportunities to reach mobile consumers. The fact that Google has placed a premium on owning a mobile ad network is very notable. The market has definitely matured to the point where it makes sense for online behemoths to try to combine networks, analytics and delivery technologies in the hopes of capturing a share of this growing market. The recent marriage between Google and AdMob is a clear indicator that the mobile advertising industry has a bright future. Industry innovation will also stand to benefit from Google entering the competitive mix. However, Google’s recent financial commitment also signals to operators developing their own mobile advertising offerings that there is no time for complacency. While operators still own the mobile market in terms of reach and the subscriber in terms of trust, billing relationships, user demographics and targeting information, it is undeniable that Google’s recent acquisition is a game-changer. Nevertheless, there are still challenges to overcome and fragmentation continues to be a stumbling block. In order for mobile advertising to have a strong, viable future, we believe that the solution must be more centralized around the unbeatable assets of the mobile operators. Major brands and media buyers want a one-stop shop solution and access to the operator’s premium inventory. An operator-centric approach will play a key role in making this possible and further accelerate adoption. AdMob is a Zumobi partner and this is a great validation of the potential of the mobile advertising space. Thus far, nobody has talked about what this means for Android/Droid – and whether this will hurt iPhone developers and/or help other mobile ad networks as Google influences AdMob to spend more time on Android. We believe this is great news for the mobile industry as it indicates the momentum and growth we’ve experienced over the past two years. That said, the rumor we’ve heard has Apple also bidding for the business – maybe one reason the price was so good. Lastly, we want to clear something up. It has been pointed out that 4Info’s primary short code  is featured in the SMS ads picture on Google’s announcement page – this does not imply any kind of special relationship with Google or AdMob. We do work with both companies, but it does reinforce that SMS is a critical part of the industry, and that no mobile marketing/advertising program is complete without SMS. We also believe it speaks to our leadership position in the SMS space. We think the acquisition validates the claim that we have all been saying: There is enormous opportunity in mobile advertising and we have just begun to see what’s possible. There is plenty of room for innovation and competition in the mobile advertising space. Interestingly, AdMob only works well on less than 17 percent of the phones out there, including iPhones and BlackBerrys. So, there is big upside. SMS works on all phones, i.e. the overwhelming majority of 83 percent of the other phones out there. In the end, it’s all about what the brand is trying to achieve with mobile advertising. We believe in a multichannel approach. Web, SMS and display make the most sense, with a heavy emphasis on conversational SMS when you are trying to reach youth. I actually still think that when we come to mobile advertising, the industry is just starting to cross the “chasm” (per Geoff Moore’s analogy) between early adopters and not yet adopted by the early majority of advertisers. This acquisition allows AdMob to get into the “early majority” because of Google’s ad relationships. I think it could potentially start what I call a second round of mobile “musical chairs,” as other big guys are going to start looking for acquisitions that give them similar capabilities but are cheaper plays, as not a lot of folks out there have nine figures to spend on mobile acquisitions. Staff Reporter Dan Butcher covers ad networks, banking and payments, carrier networks, manufacturers, and software and technology Reach him at dan@mobilemarketer.com.